SpeedyMoto Steering Stem Bearing Kits update loose ball bearings with heavy duty taper bearing replacements. A must do with any suspension upgrade or tune. Helps eliminate head shake and requires less maintenance than stock roller bearings. 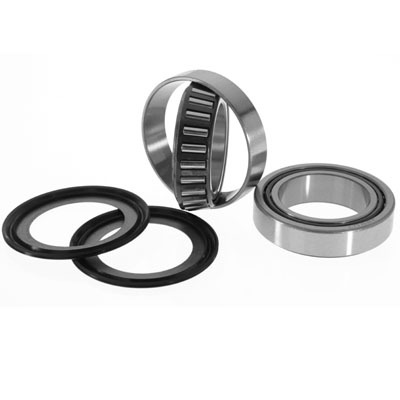 Kits come complete with both upper and lower taper bearing cups and cones and seals. Fits all Superbikes 94- current, all Monsters 2002-current and Monster S4 from 2001, all ST2/ST3/ST4 98-current, all Multistrada's, all sport classics.